I’d never thought that I would be one of those people focusing on Christmas / the Holidays in the beginning of October! I have a good excuse though :). 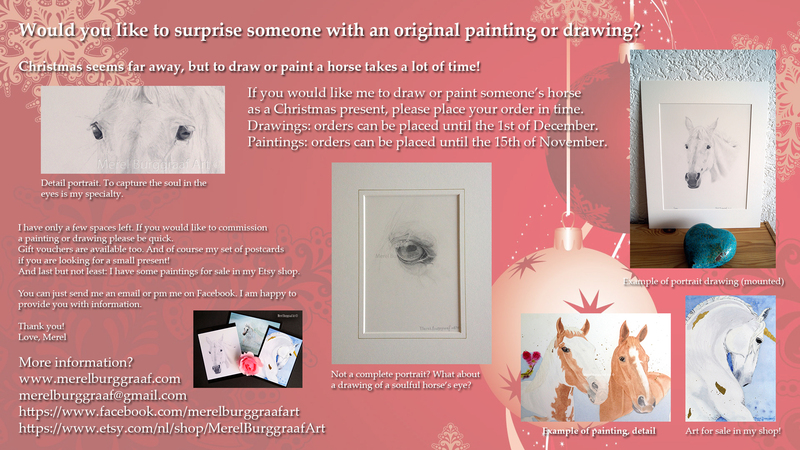 As it takes weeks to finish a drawing or a painting, Christmas orders can be placed now. I have only a few spaces left! Just send me a message (details are in the leaflet) and I’ll provide you with further information. – and of course a set of my postcards as a lovely small gift. If you need any information, feel free to send me a message.